Welcome to Mario Fan 123's Talkpage! Do not ask where I exactly live. I can only say I live in São Paulo, Brazil. Do not ask my phone number either. If you want to chat, use this talkpage or email me. Do not spam me or anyone. Comments go at the bottom of the page. Have a nice day and good chatting! 4 Can I be your friend? 28 Are you an experienced user? 30 First is the worst...not! 43 Want to be friends? 44 This is No Joke! 71 Where is this image from? This is a warning to stop your inappropriate behavior (altering other people's votes on FA nominations) on the Super Mario Wiki. Please adhere to the rules or you will be blocked from editing this site. Ok. First, comments at the bottom of the page, but here is good. Now, the userbox. If you write this in your userpage, my userbox will appear. Well, how about this one? If you don't like it, I can change it for you. No probs. When I see something I really like (and depending on who does it, not often) I make sure to give it notice. Sure, we can be friends! It's nice getting more aquainted with people on this wiki, seeing as I registered only a few weeks ago. You can take my userbox from my userpage! Could you please take the new version of my userbox? I had miscolored a word. ´~´ It's on my userpage, once again. This user is friends with Smasher 101. Can I be friends with you too?--KayKay Chat to me! This user is a friend of Boun C ball . Are you an experienced user? Hey there, Mario Fan 123! This is Lord Bowser, giving you a heads-up that your section(s) are due by the end of this week. Please PM me your completed section on the forums by then. If you need an extension, don't be afraid to ask for one, though please try to do so in good time. This is Lord Bowser, giving you a heads-up that your section(s) are due by February 15. Please PM me your completed section on the forums by then. If you need an extension, don't be afraid to ask for one, though please try to do so in good time. This section is written in Portuguese. This is Lord Bowser, giving you a heads-up that your section(s) are due by March 12. Please PM me your completed section on the forums by then. If you need an extension, don't be afraid to ask for one, though please try to do so in good time. I am currently adiosToreador on the forums. --FREAK ~Game Freak~ OUT! 50px This user is friends with Ilove marioandtoad! Also at GCN, it has Gekko CPU for a reason. Gekko is a 32-bit PowerPC microprocessor custom made by IBM in 2000 for Nintendo to use as the CPU in their sixth generation game console, the Nintendo GameCube. This is Lord Bowser, giving you a heads-up that your section(s) are due by April 9th. Please PM me your completed section on the forums by then. If you need an extension, don't be afraid to ask for one, though please try to do so in good time. The only joke here is you me. I am still adiosToreador on the forums. --FREAK ~Game Freak~ OUT! This is Lord Bowser, giving you a heads-up that your section(s) are due by May 14. Please PM me your completed section on the forums by then. If you need an extension, don't be afraid to ask for one, though please try to do so in good time. I'm still adiosToreador on the forums. --FREAK ~Game Freak~ OUT! I don't see anything wrong in it, but you're being rude to the newbies!. that probally was edited by him/her/it???. Still the same ol' adiosToreador on the forums. --FREAK ~Game Freak~ OUT! 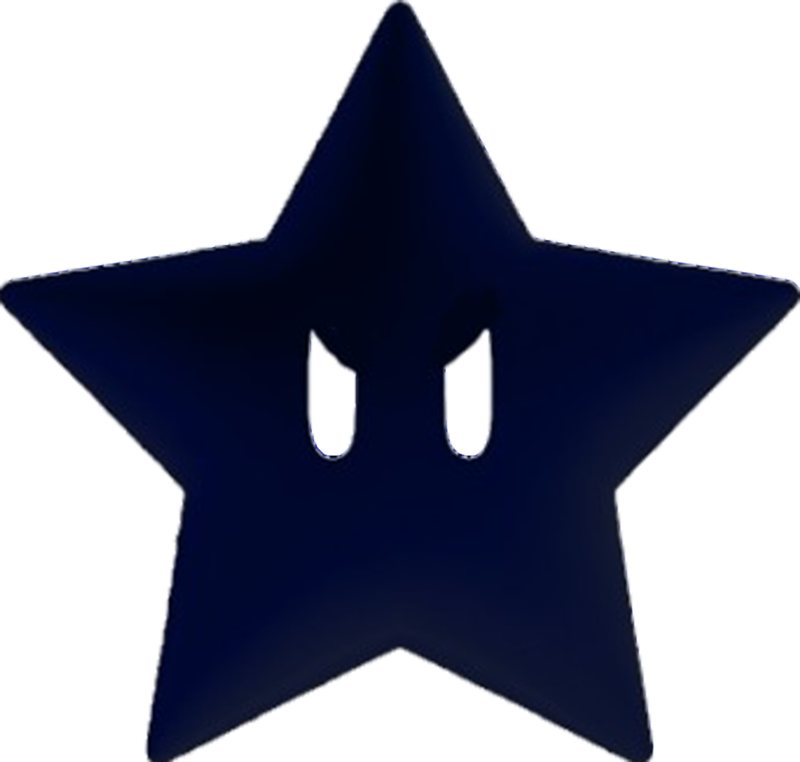 Please stop editing other users votes on the Super Mario Wiki. This isn't a warning, and it's possible that you made a mistake by accident or without realizing it; this is simply a reminder for your information. If the action continues, then a warning will be issued. Thanks for reading and keep contributing. 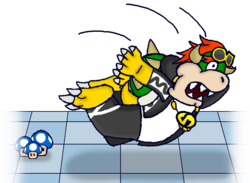 This is Lord Bowser, giving you a heads-up that your section(s) are due by July 9th. Please PM me your completed section on the forums by then. If you need an extension, don't be afraid to ask for one, though please try to do so in good time. Send it to apocalypseArisen. --FREAK ~Game Freak~ OUT! This is Lord Bowser, giving you a heads-up that your section(s) are due by August 13. Please PM me your completed section on the forums by then. If you need an extension, don't be afraid to ask for one, though please try to do so in good time. This will give you plenty of time before the awards ceremony. I am still apocalypseArisen on the forums. --FREAK ~Game Freak~ OUT! This is Lord Bowser, giving you a heads-up that your section(s) are due by September 12. Please PM me your completed section on the forums by then. If you need an extension, don't be afraid to ask for one, though please try to do so in good time. This is Lord Bowser, giving you a heads-up that your section(s) are due by October 8. Please PM me your completed section on the forums by then. If you need an extension, don't be afraid to ask for one, though please try to do so in good time. Please accept my 3DS friend request. Thank you. The preceding unsigned comment was added by SuperPaperFan (talk). ^How do I put that as my icon? Hi, i'm User:SombreroGuy, want to be my friend? if you do, copy my user box.Are you brazilian? This page was last edited on November 29, 2014, at 11:17.